Now for something completely different. Jah jan noodles! What’s jah jan? 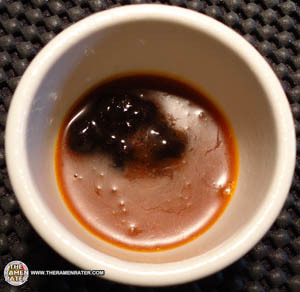 It’s a black bean (or soybean) sauce rich with flavor – popular in China, Taiwan and South Korea. This one’s from Taiwan. Let’s check it out! The distributor’s sticker (click image to enlarge). Looks to be meat free but check for yourself. The back of the package (click image to enlarge). 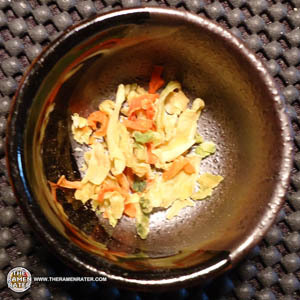 To prepare, boil noodles for 4 minutes, then add dehydrated vegetables for 30 seconds. 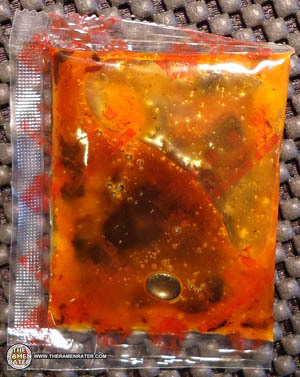 Drain water and stir contents of sauce sachet until combined. Finished (click image to enlarge). 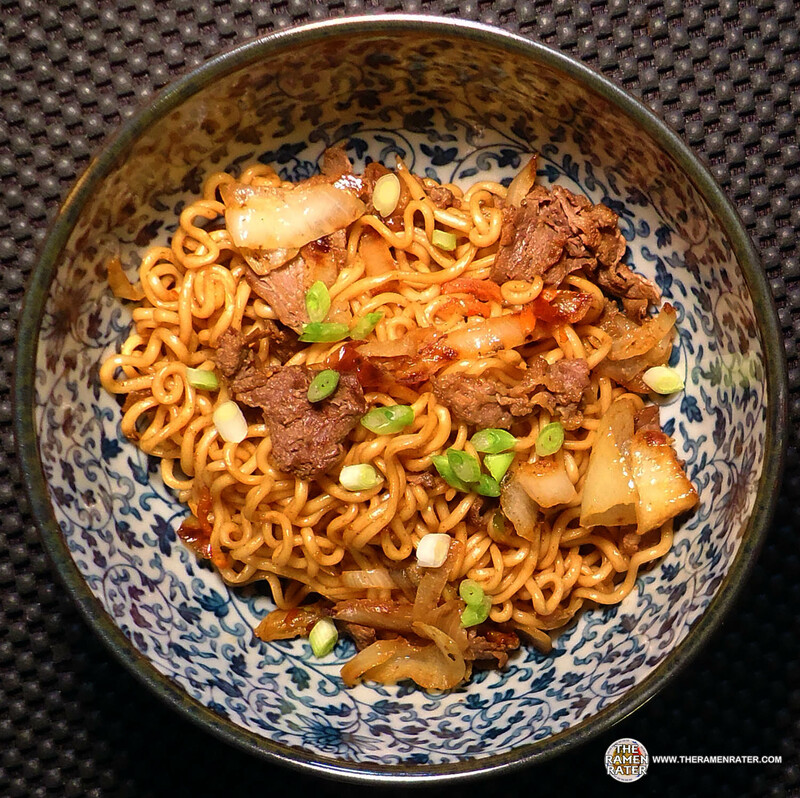 Added sauteed beef with Jane’s Krazy Mixed Up Pepper, sweet onion and green onion. 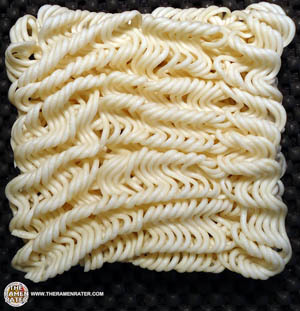 The noodles are hearty and of good character and chew. The flavoring is interesting; spicy and a bit of oiliness to it. It has this strange flavor though that I can only liken to something from when I was a kid. See, I was that kid who oft times was found chewing on his pencil eraser. Well, I’m getting a bit of that kind of flavor here; not sure why. Anyways, eraser or not, everything works pretty well together and it good. 3.25 out of 5.0 stars. UPC bar code 4710175565162. A Wu-Mu advertisement in Mandarin. 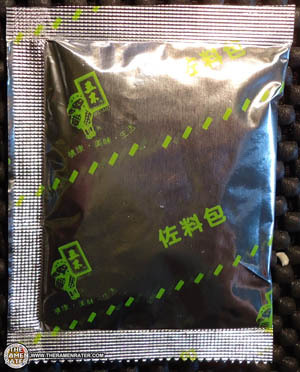 This entry was posted in * Stars 3.1 - 4.0, Other, Taiwan, Wu-Mu and tagged 1268, 4 710175 565162, 4710175565162, dried noodle, jah jan, jiajiang, singlin, soybean paste, taiwan, taiwanese food, wu-mu, wumu on December 28, 2013 by Hans "The Ramen Rater" Lienesch.